This is a super nice 20.5 Gram natural Australian Gold Nugget from the Bendigo Gold Fields of Australia. It has wonderful color and texture and has some spectacular eroded gold crystals. Along the top edge you can see some well formed elongated crystals also. 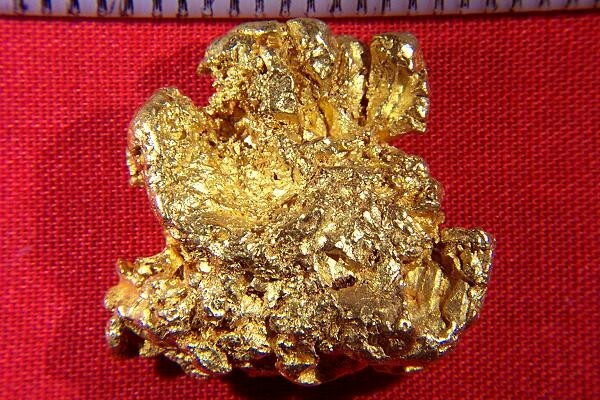 It was found over 10 years ago by a gold prospector using a metal detector. It is 1" (24 mm) long x 7/8" (21 mm) wide. Investors, jewelers and collectors love jewelry/investment grade Australian Gold Nuggets because of their high purity (typically 94% to 98% pure) and beautiful color. 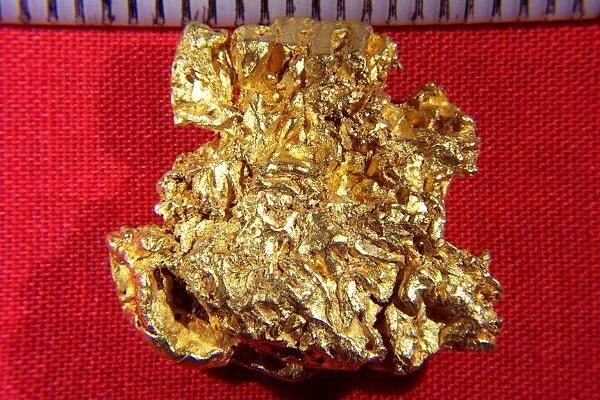 This fantastic raw gold specimen has great texture and character. It is a very high quality hand selected jewelry/investment grade gold nugget, the highest grade of natural gold nugget that you can buy. Note that we offer a 2.5% discount for payment by Direct Deposit, Cashiers Check, Money Order, or Bank Wire Transfer. That way we save on Credit Card fees and we pass the savings on to you.